First, we hear from Isar Mostafanezhad about the upcoming IEEE Communications Futures conference. (Get a discount on the conference by using promo code: KAMAAINA50) Then we have Mary “Garvey” Candella who is the Twitch, Director of Strategic Partnerships talk about a student program at UH. 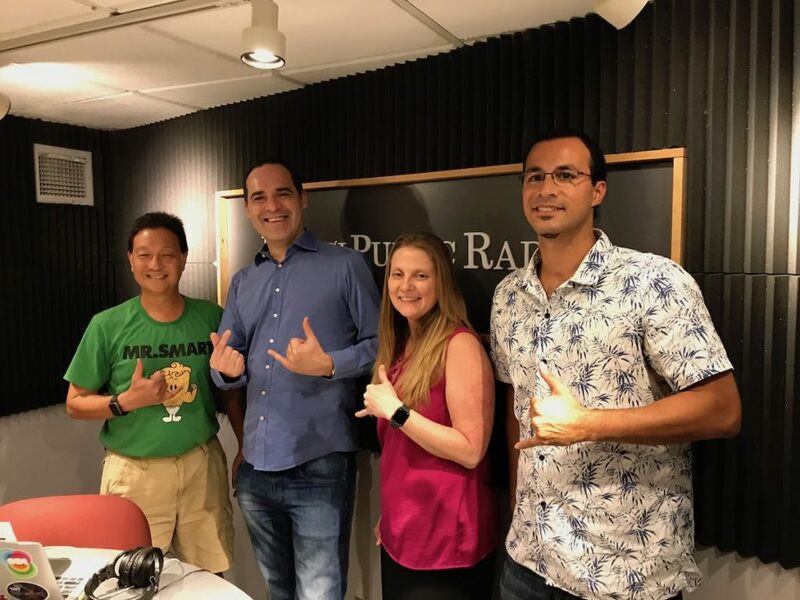 Then, we hear from Mary Beth Laychak about the New Horizons mission, the asteroid Ultima Thule and how the Canada France Hawaii Telescope played a role in the mission. We also talk about the Akamai Internship available to students interested in STEM and astronomy.